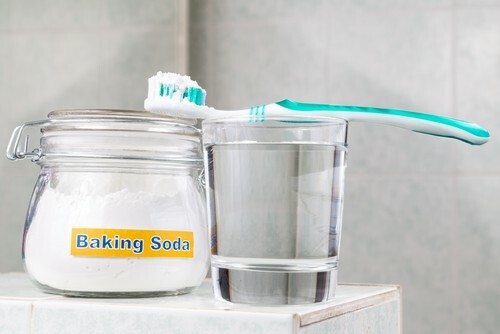 Baking soda is advertised as a multi-purpose household staple that can be used to mask smells, brighten your clothes, and yes, even whiten your teeth. While we can’t speak on its effectiveness in any other form, my dental office in Mill Creek can support the claim that baking soda can, in fact, whiten teeth. But before you head out to buy a box and begin brushing with it, there are some things you need to know. Unfortunately, baking soda doesn’t work for everyone or every situation. While it’s abrasive texture can remove some minor surface stains, it’s not as successful at eliminating deeper staining. 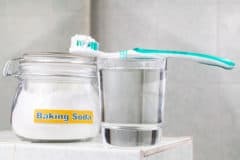 When tooth discoloration seeps below the surface, baking soda won’t touch it and you’ll need to explore alternative whitening options to get rid of it. But don’t worry, there are solutions for everyone. Whether it’s a professional in-office whitening treatment, at-home trays and whitening gel, or cosmetic dentistry like veneers, you can get a bright, white smile that you’ll want to show off. Talk with your dentist in Mill Creek to find out which is most appropriate solution for you. Are you looking to get a whiter smile and want to check out your options? Give my Mill Creek dental office a call to schedule an appointment. We’ll look into what may be causing your discoloration and explore which treatment options would be most effective for you. Welcoming patients from Mill Creek, Bothell, Everett and beyond.